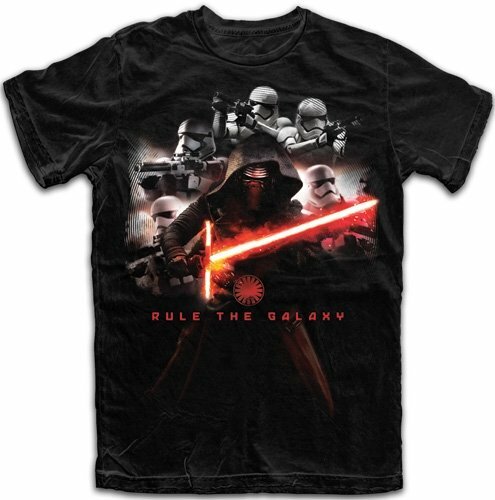 If you need to buy a gift for a Star Wars fan, these gift ideas are all new releases with The Force Awakens characters and themes. 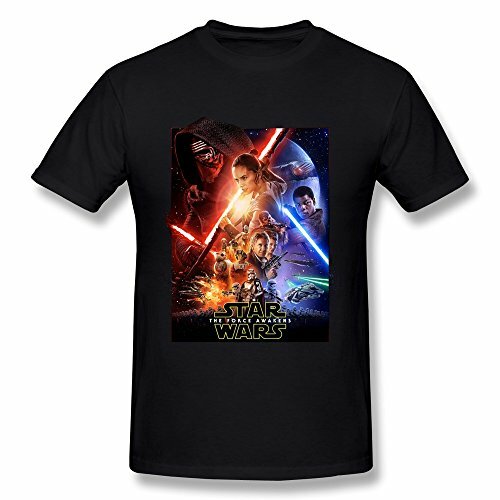 After waiting for so long, fans of Star Wars have finally got a new movie to enjoy and rave about so there’s no excuse not to buy them something that fits their latest Star Wars passion! 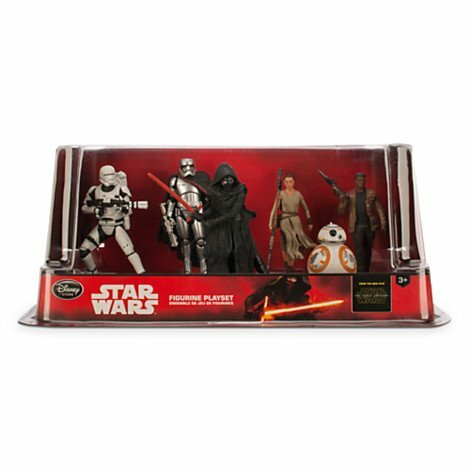 In the first section there are two different sets of Star Wars figures – the first set are more display models as they are not articulated and have fixed bases but the second set are much bigger (around 12 inches) and have moveable limbs. 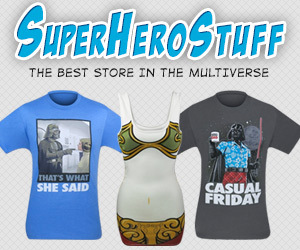 Sadly the second set doesn’t include Rey which has upset a lot of people but she is included in the first set. 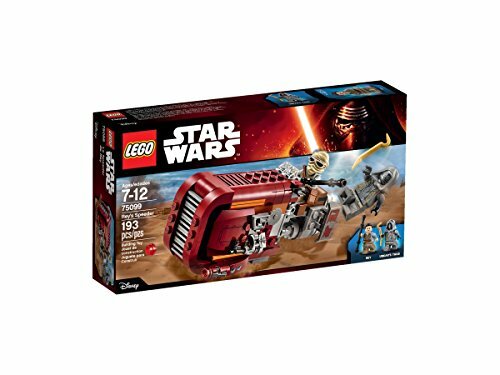 The Lego kit for Rey’s speeder has great reviews and is about 3×5 inches in size. 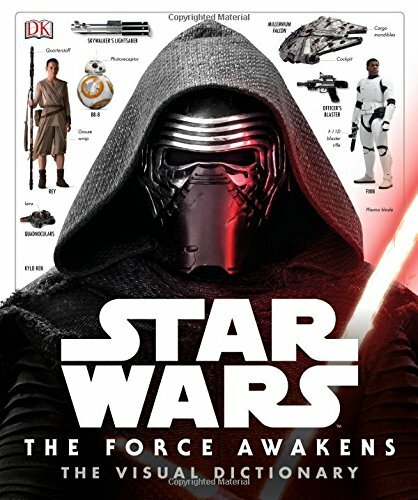 The Star Wars visual Dictionary looks like an amazing book to add to any Star Wars collection – it has great detailed explanations of loads of characters and even covers props used. 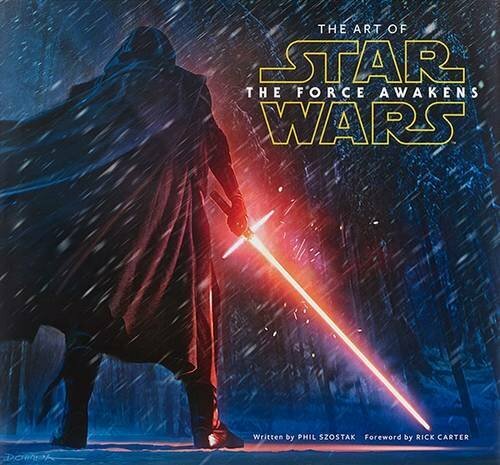 If you are more interested in the Art of the movie, the second book in this group would probably be more suitable although I’d be tempted to get both! 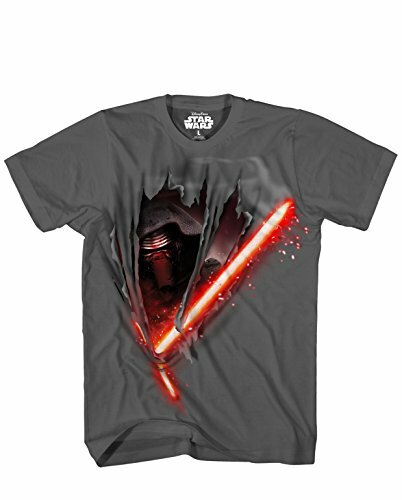 There are some great t-shirt designs available for Star Wars the Force Awakens so I have just included a few of my favorites here. 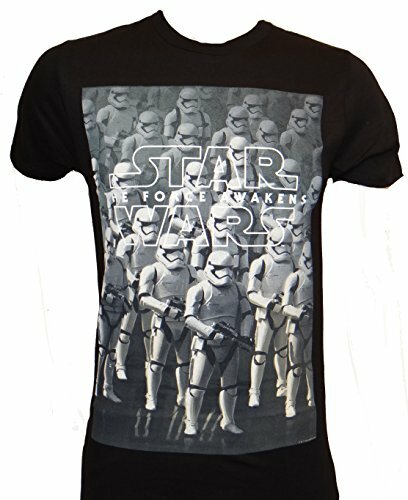 You can check out loads of other Star Wars t-shirts on Amazon easily by following the link. I always loved R2-D2 but the BB-8 droid seems to have overtaken him in the popularity stakes! 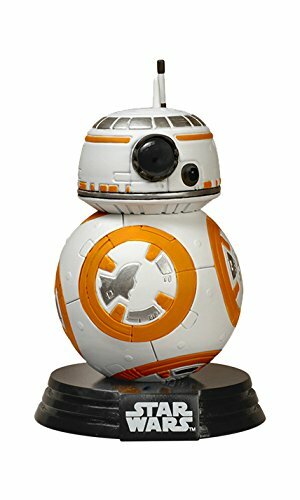 BB-8 is everywhere and Funko have produced a bobblehead figure. He stands just under 4 inches tall and has a removable base. 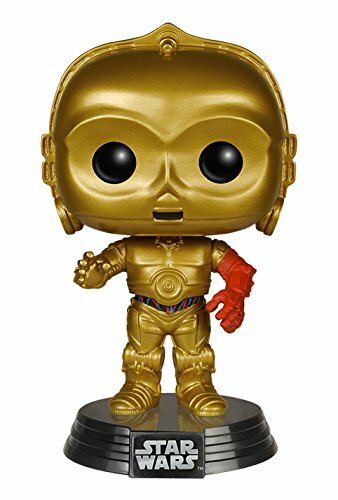 The C-3PO also stands about 4 inches tall and his base is detachable too although from the reviews, he’s not quite as stable without his base. Funko have produced these cute Pop! 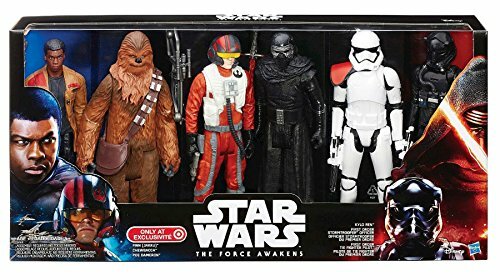 figures for all the main characters in Star Wars The Force Awakens too. 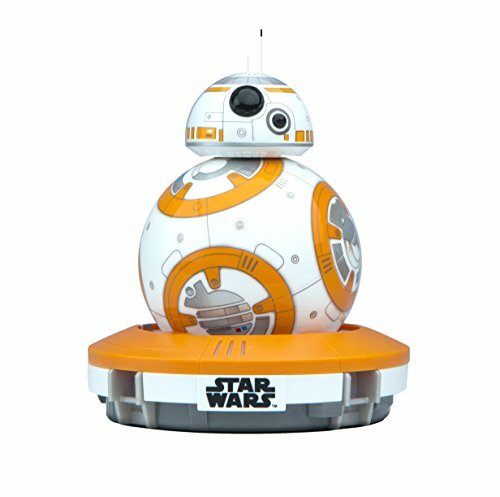 I’ve seen a lot of chatter on Twitter about the Sphero BB-8 app-enabled droid which can be controlled by your tablet or smartphone. It also adapts to how you play with it, has a video function and reacts to your voice. 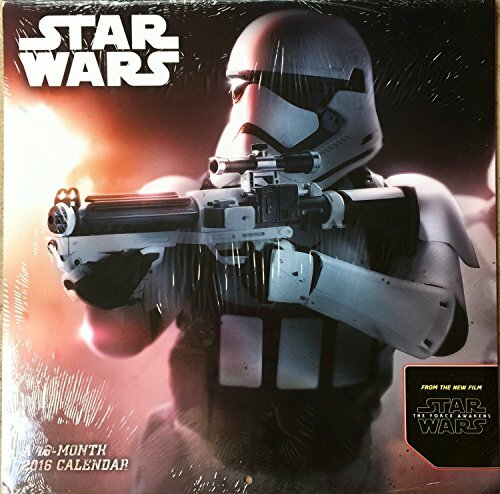 As you can imagine, it’s not cheap but for a true Star Wars fan, it will probably be one of the best gifts ever! 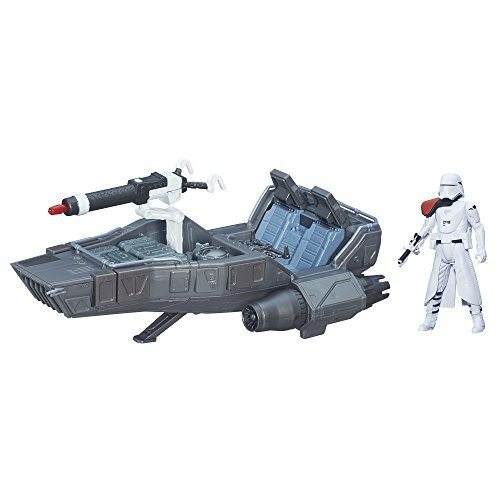 The First Order Snowspeeder model includes the vehicle, the action figure and a cannon. 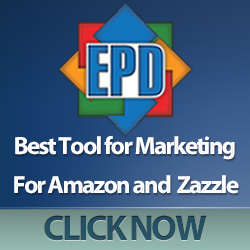 It has some great reviews that suggest it would be suitable for an adult collector or for children to play with. The snowspeeder can carry 2 figures if you have others of the same series. 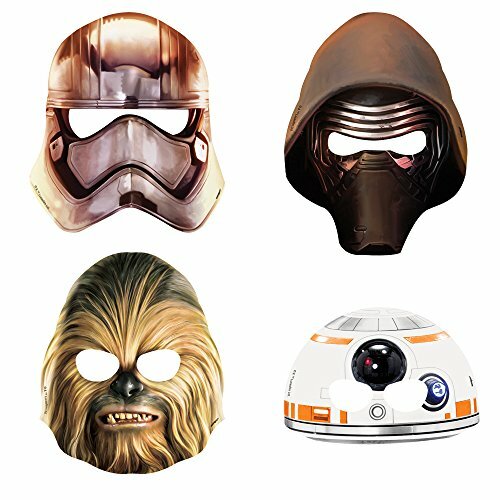 Lastly, we have a set of 8 Star Wars party masks – great as party favors or just to let the kids play out their favorite characters.